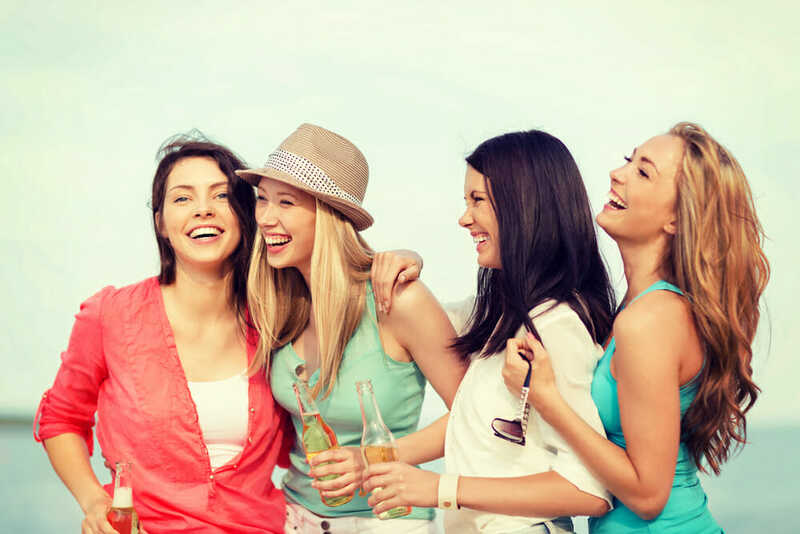 We have put together some of the best bachelorette party ideas Fort Lauderdale for you! Start your night off right with one or two gorgeous Butlers in the Buff to surprise your friends and get the party going! Your bachelorette party need not lift a finger while your butler in the buff is in attendance to your every whim. We want to help you create a bachelorette that is unique and memorable and our team have sourced a few great ideas for a fabulous time in Fort Lauderdale. If you are still stuck for great best bachelorette party ideas Fort Lauderdale follow us on our Twitter, Facebook and Pinterest pages! You’ll find all the latest bachelorette party trends as well as inspiration for how to use your Butler in the Buff. Also visit our blog for more best bachelorette party ideas Fort Lauderdale. For a quality time with the girls is a must before tying the knot. Take your bachelorette party on a stroll through Las Olas.The beautiful and quirky Las Olas Boulevard promises an evening shopping experience that’s not to be missed! The mixture of bright colonial buildings, twinkling lights and little side streets offer up little boutique surprises like Carrolls Jewellers with designs that just make you smile! Las Olas has the best variety of Latin foods mixed in with a few French Creperies. After a few cocktails at O Lounge, head for some great dancing at Vibe. A great way to break the ice on the first evening of a girls getaway or bachelorette party weekend. Surprise your bachelorette party with a Butler in the Buff serving up beachy cocktails in your hotel suite upon your return. Shake off those messy old school spring break memories and party with the next generation of Fort Lauderdale club crawl! It’s a cooler more sophisticated night out for your bachelorette party a la South Beach. Book a gorgeous beachfront hotel, Ocean Sky Resort has great packages and are bachelorette party friendly. Then surprise everyone in your bachelorette party with a Butler in the Buff to greet them in your suite with a cocktail! He’ll take your bags and treat you to light bites over some bachelorette party games. Hire a limo or party bus to take you from your hotel to a pole dancing studio, many studios offer bachelorette party packages and most provide wine or champagne, chocolate, chips and other snacks to help keep your energy up. Then hit those nightclubs! Exit 66 is right on the beach and a great place to go after the tiki delights of Rock Bar. Head on to Art Bar a bit further inland to finish up the night! Find out how it’s better on the beach with these great local watering holes! A bachelorette party in need not be a bore! Host a slinky naughty French lingerie bachelorette party! Set the scene with candelabras, a patisserie buffet with dessert wines and strong coffee. There are endless naughty party favours from lip gloss with naughty messages to custom wine glasses. Have your gorgeous Butler in the Buff top up drinks, host your party games and serve a Parisian themed dinner!